CINCINNATI, OH (FOX19) - A group of tourists trapped on St. Thomas said a ferry chartered by Marriott left them stranded on the island because they weren't guests at the hotel. Desperate to get back to the U.S., Staci Terry, of southwest Ohio, and her seven friends thought they had found a way home Friday. 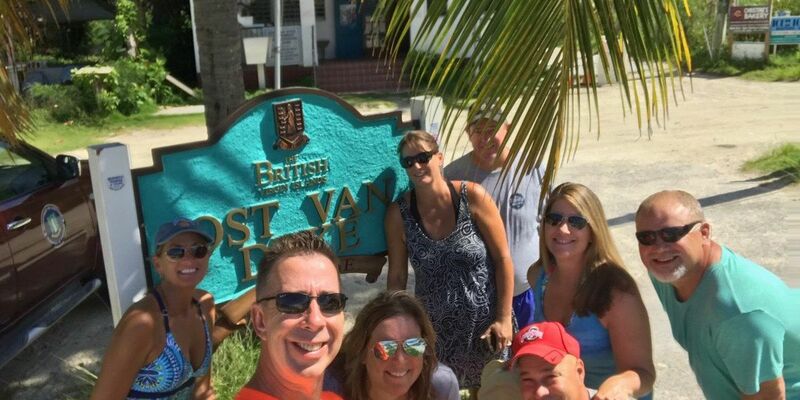 The group had survived Hurricane Irma and wanted to leave the island ahead of Hurricane Jose's approach. Terry contacted a Coast Guard lieutenant in Puerto Rico, who told her that a boat would be docking at the Marriott near her hotel. "[The Lt.] told us it was kind of a first-come first-serve. Never mentioned that it was for Marriott guests only," Terry said. Separated from the Marriott guests, Terry and an estimated 30 others were put in another line. "Once we got to the docks and learned that it was for Marriott guests only, they told us that we could get in a different line and wait - so we got the impression that we would, if there was room, they would let us on," Terry said. "They had 600 and something seats and they filled them with 300 Marriott guests and there are 35 people over here waiting and we can't get on this large boat that will hold at least 2-300 more people and it was Marriott's decision, Marriott did not let us on this boat." Marriott International responded to the video and said the Marriott team on-the-ground was told they had no authorization to board additional passengers. The hotel chain went on to say they were saddened that they "weren't able to help" more people. "On Friday, Marriott was able to secure a ferry to transport about 600 of our guests from St. Thomas to Puerto Rico. These were guests who had to stay behind after the airport closed in advance of Hurricane Irma. The ferry departed St. Thomas Friday, September 8, with the Marriott guests on board.